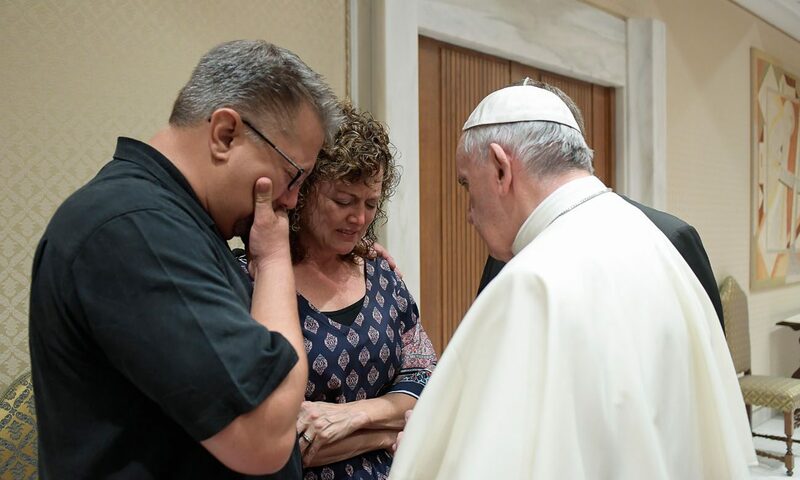 VATICAN CITY (CNS) — Meeting the grieving parents of a U.S. student who was found dead in Rome, Pope Francis mourned the death of the teenager, who had been set to begin a study-abroad program. Beau Solomon, 19, was found dead in the Tiber River July 4 after friends reported last seeing him early July 1. The pope met with Nick and Jodi Solomon from Spring Green, Wisconsin, July 6, in a private audience. He expressed his “deepest sympathy and compassion” as well as his closeness to them in his prayers “for the young man who died so tragically,” according to a Vatican press release. The student from the University of Wisconsin-Madison had arrived in Rome June 30 to study at John Cabot University. However, he disappeared less than 24 hours later after spending the evening with friends at a Rome pub, according to the Associated Press. More than $1,000 had been charged to the student’s credit card after his disappearance, AP reported. Italian police were investigating the cause and circumstances of his death and arrested a homeless man in connection with the case. Solomon had survived cancer as a child, the family said.